It’s a rare event when I welcome a guest writer to Aliventures, so please give a warm welcome to D’vorah Lansky. I’m one of the speakers in her awesome Digital Publishing Virtual Summit (and you can listen to all the sessions for free). More details about the Summit at the bottom of the post! Hi, my name is D’vorah Lansky and I am excited to share this blog post, on the topic of Digital Publishing, with you. I’d like to thank Ali for hosting me during this virtual tour, in honor of Digital Publishing Virtual Summit, where we feature 20 world-renowned book marketing experts. I’m thrilled to share this exciting topic with you and extend a warm invitation for you to enjoy each article and interview on this virtual tour as well as attend this virtual summit with us. There are many aspects to an eBook, beyond the actual writing of the text. 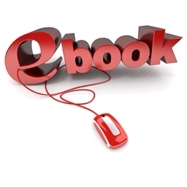 Your eBook provides you with both marketing and relationship building opportunities. By strategically placing content at the beginning or end of your book (front and back matter), carefully selecting the keywords you use in your chapter titles and section titles (which show up in the table of contents) and carefully “seeding” your book with compelling reasons for people to come to your website, you are providing your readers with reasons to purchase your book and to connect with you or your special offer. Here are a few tips for increasing the likelihood of people noticing, and hopefully purchasing, your book. Having an attractive book cover will increase the odds of people noticing your book. The title of your book is the “billboard” for your book. You want your book title to be a magnet to people interested in your topic. Your table of contents can be used as sales copy on your website as well as a tool for creating interest in your book for those who download a “sneak peek” of your book from Kindle. Your foreword, endorsements, testimonials, and book reviews further position you as an expert and provide social proof as to why people should purchase your book. Front matter and back matter are essential pages that show up at the beginning or end of your book. Front matter can include the title page, copyright page, a foreword, dedication, table of contents, acknowledgements and an introduction. Back matter can include an “about the author” page, recommended resources, an index, and perhaps a marketing page that lists a related product or service the author offers, that is related to the topic of book. The foreword of your book provides introductory remarks about your book and serves as an endorsement of you, typically by a recognized celebrity or expert in your field. Take time to carefully craft your marketing page. Many readers will read the back cover and flip to the resource section in the back of a book, when deciding if they want to purchase a book. Having a marketing page easily accessible will provide you with a doorway with which to invite your readers to walk through. View your book as a vehicle for sharing your message and connecting with your audience. This will allow you to grow your readership, income streams, and book sales. When reading a book, what type of content compels you to take action to visit the author’s website? Scroll down to share your thoughts in the comment box, and join in the conversation. If you’d like to learn more about digital publishing; how it’s grown and where it’s going, join us for the Digital Publishing Virtual Summit where Ali Luke presents a workshop entitled: Marketing Your Digital Book or Products With a Powerful Sales Page. During this workshop, Ali will teach us how to craft a great sales page (for your digital and/or print book) that encourages potential readers to click the “buy” button. Ali shares: What a sales page is, and how it can help you sell your book (or products), why a sales page is a great tool for authors who feel shy or uncomfortable promoting themselves, as well as simple tricks and tips for the design of your page. Enjoy this Digital Publishing Virtual Tour! May the gems gleaned aid you on your path as you share your message with audiences across the globe! D’vorah Lansky, M.Ed., has been marketing online and mentoring leaders since 1994. She is the bestselling author of Book Marketing Made Easy: Simple Strategies for Selling Your Nonfiction Book Online. She is the producer of the annual Book Marketing Conference Online and this year’s Digital Publishing Virtual Summit, as well as the founder of the Book Marketing Alliance and the Book Marketing Made Easy Academy. D’vorah coaches and trains authors around the globe, in online book marketing practices. Join us for the Digital Publishing Virtual Summit and listen as 20 world-renowned experts share their wisdom. Hi Ali, Thank you for hosting me as a guest blogger for the digital summit blog tour! I look forward to connecting with your audience and would be happy to answer any online book marketing or digital publishing questions. Hi Laura, thank you for your comment. You are right, there is much fiction authors can do to market their books online. Fiction authors can have fun and bring their characters to life, thus creating a loyal and interested fan base of readers. I really look forward to posts like this that make life easy. Thanks for this excellent informative post D’vorah!